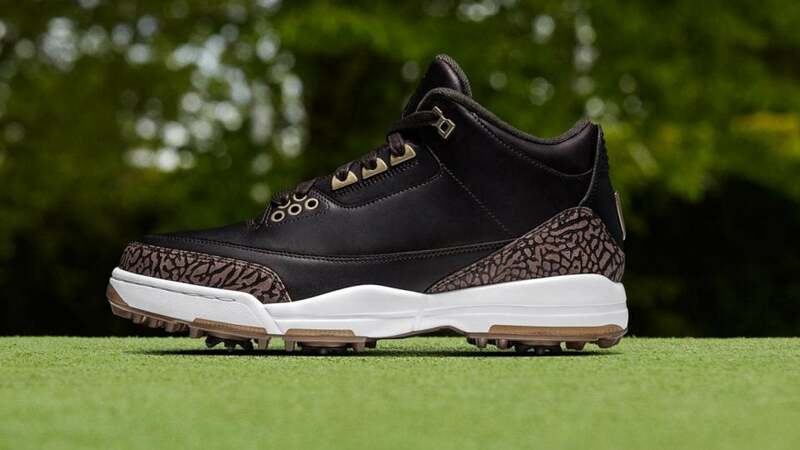 Nike released two new editions of the Air Jordan III for golfers on February 16, one in white leather and one in brown. Both shoes celebrate the 30th anniversary of the Air Jordan III, including "original elements" from those 1988 kicks. The shoes have "tumbled" leather and bronze finishes (in the premium version), an elephant print, and the Jumpman logo, along with Lunarlon midsoles for stability as you swing. Both styles sold out within minutes of their release, but keep your eyes on nike.com for further updates.